There are a number of reasons why I adore personalized stationery. It allows you to make a statement, be more professional, and cause the recipients to “ooh” and “aah”. 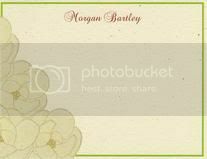 I enjoy playing around with designs and the personalization details to see what I can create. 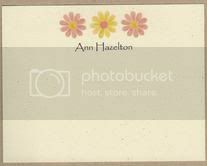 I have had the pleasure of reviewing a number of different paper products over the past year and a half, including business cards, thank you cards, invitations, note cards, etc. I recently had the opportunity to review personalized stationery cards from Babadoo Designs. Babadoo Designs is a company that really stands out to me. The designs available are directly taken from original watercolor paintings and will not be found on any other site. I really love finding unique products and the fact that these designs are unique to Babadoo Designs is a plus for me. The designs are adorable and clever. There are so many that I would love to own. Frankly, I wish I could say, “I’ll take one of each please!” Another wonderful fact about Babadoo Designs is that 100% of recycled card stock is used. How awesome – I love finding “green” companies! I was sent four “Magnolia” Personalized Stationery Cards to review. These cards are simply lovely and I look forward to giving them to friends. I was struck by the quality of the paper. The color is beautiful and the paper itself isn’t flimsy. I was so impressed overall. 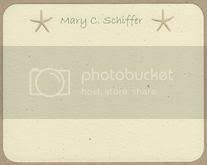 The cards measure 4.25” x 5.5” and can be purchased in varying increments. You are given numerous font and ink colors from which to choose in order to personalize your stationery completely to your wishes. In addition to the note cards that I reviewed, you may also purchase invitations, announcements, photo cards, and personalized shirts. Follow Babadoo Designs on Twitter and Facebook! I have the pleasure of hosting a giveaway for Babadoo Designs! Babadoo Designs has offered to sponsor a giveaway for 12 Personalized Stationery Cards! Please fill out the Rafflecopter form below to enter. very cute cards, my daughter would love them. These cards look great !